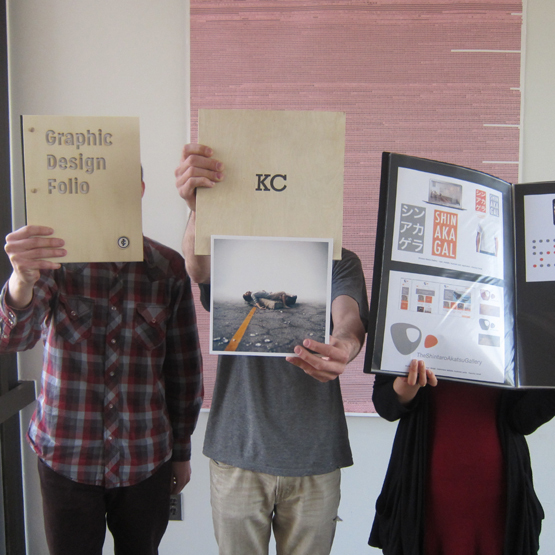 Three SASD junior graphic design students took prizes at the CADC (Connecticut Art Directors Club) annual portfolio meet on Saturday 20 April 2013. The annual event draws design students from all over Connecticut for a day of reviews, talks by working professionals, networking, and lunch. 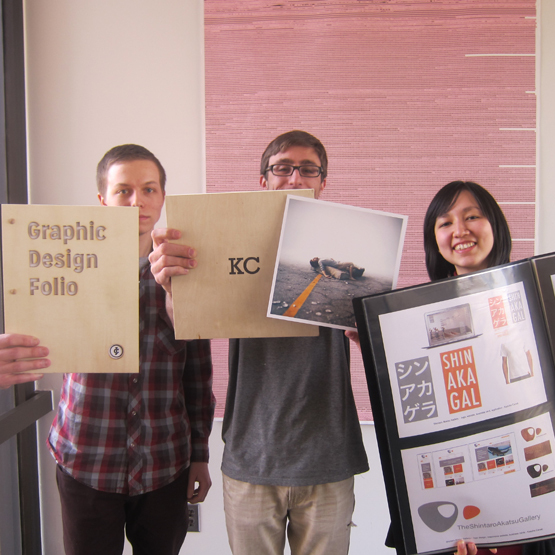 Both Jake Cummings and Kazuha Canak got honorable mention for their portfolios in graphic design. For the second year in a row, top prize for portfolio in photography went to Kevin Corrado, who swept this category. Kevin will receive a $1000 scholarship towards next year’s tuition from CADC. Congratulations to Jake, Kevin, and Kaz (shown, Left, Center, Right) !